I would like to take this opportunity to thank you for your great product and customer service. Aquarium Pharmaceuticals purchased an ATS US-2000 Banding Machine from Wexler Packaging in 2003. We use 50mm Foamed Banding material to band three different products that use cardboard “Milk Carton” style packages. We were able to remove a Work-in-Process step in the manufacturing process that has saved us approximately $15.5K per year in production costs. This machine allowed us to reduce our leadtime on these products by 3 days! The bander is fast and easy to use – our packaging associates like using it right on the filling line.  In the rare instance that our bander malfunctions, Wexler Packaging’s assistance has been courteous and speedy. Please count us as one of your satified customers and feel free to use us as a reference.